Universal Price Action indicator is a multi-use tool, which can be used to determine momentum, currency strength, candle range, price action. 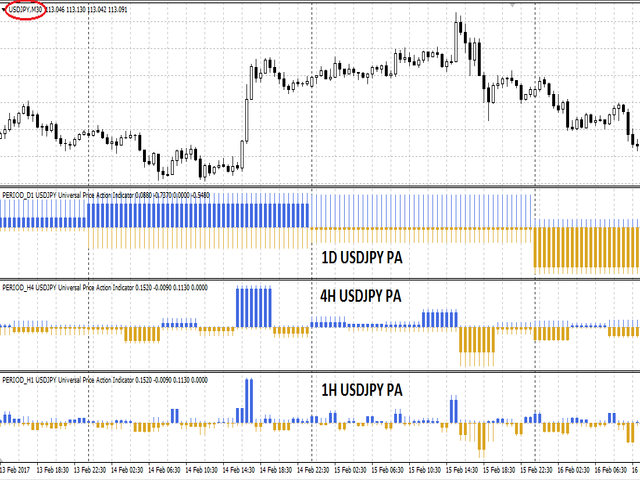 The indicator plots the price action of any currency pair, and any higher timeframe, on your chart. For example, you can plot multiple currency pairs involving USD on one chart and determine which of the pairs is moving the most, the least, or see the general price action patterns. 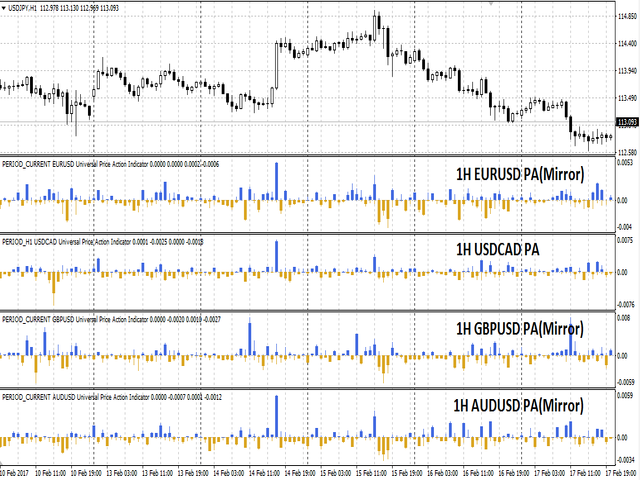 Another use can be plotting the same currency pair PA, but multiple higher timeframes on the same chart. For better price action analysis, there is an option to invert the symbol projected on the chart, so that all price action aligns in the same direction. 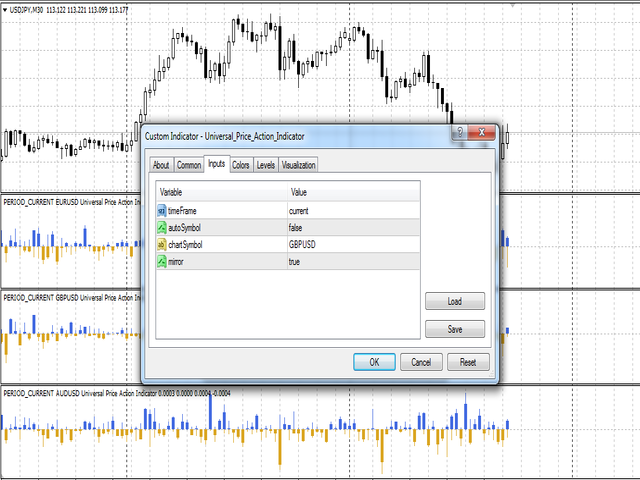 timeFrame - Choose the current or any higher timeframe.